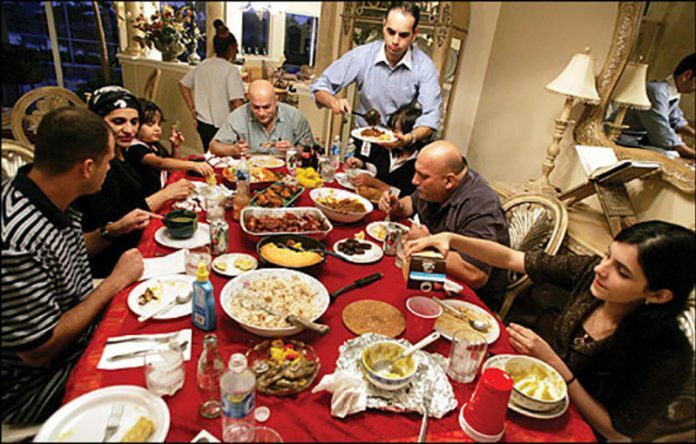 Opinion: This Thanksgiving Muslim-Americans Will Practice ‘Turkeyya’ Don't be fooled by their displays of overwhelming generosity and compassion! Hi America. It’s me, Marge… your conspiracy-wielding aunt sitting across the table from you this Thanksgiving. You BETTER have a helping of Marge’s infamous ‘Spamberry Sauce,’ or I may just add you to a particular government registry being thrown around these days (*Cough* Muzlim list). Anyways, I only have a few minutes before I have to camp out at Hobby Lobby’s Black Friday Yarn event… BTW – You’re going to LOVE my holiday anti-Islam quilt! Now you might see images of Muslim-Americans celebrating Thanksgiving, pretending to be all warm, and full of compassion – LOOK AWAY! It’s ALL a smoke-screen to distract you from their agenda of bringing Poultry Shariah law to our land… a rather FOWL proposition if I do say so. They act like they love this country, sitting at dinner tables – faking their gratitude for America granting them opportunities they wouldn’t have elsewhere. It’s called ‘Turkeyya’ and Marge ain’t getting fooled by it. I heard in Chicago they donated 5,000 turkeys to the less fortunate… talk about some Level Jive Turkeyya! At the grocery story last week, I walked up to a lady wearing one of them heejobs and asked her where she was from. She said Kabul. I was like “Kabul? Don’t you mean gobble?!? As in gobble gobble!” Sheesh, do they have to ruin everything?!? Now if you remember, i’m the one that told you about the concept of Taqiyya. Turkeyya is clearly the next step in the game of sharia law conquest. And to all of you snowflakes out there, quit telling me that i’m misinterpreting their text, or falling for conspiracies. I don’t have time to READ anything, or get to KNOW anyone. I have a quilt to make for God’s sake! So trust your Auntie Marge America. Do not get distracted by their smiles. Don’t get drawn in by their kindness or generosity. It all smells like a burning halal turkey to me. And another thing: Yesterday I found out that Steve Bannon guy is really a Muslim practicing an extreme form of Taqiyya… a white-supremacist pretending to hate Muslims and Jews while secretly being a Muslim. Buckle up buttercups… it’s going to be one helluva ride. P.S. I know I said Obummer would bring sharia law to the United States… and I KNOW it’s been eight years and that hasn’t happened yet… but be patient. He still has TWO more months!